Save the date for NCOD Orientation 2019! Incoming freshman, transfer, returning, and international NCOD students are invited to the 3-day NCOD Orientation! It will be taking place on August 19-21, 2019, at NCOD. Registration for NCOD Orientation will be available in late spring 2019. More information will be emailed to your CSUN email. If you have more questions about NCOD Orientation, please email ncod@csun.edu. 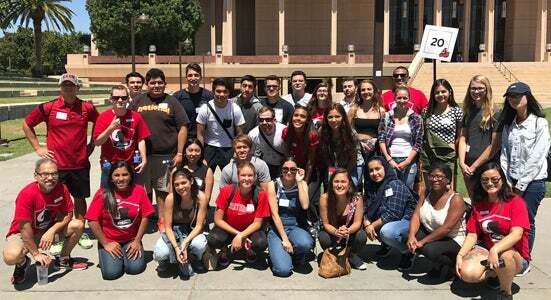 The NCOD: Deaf & Hard of Hearing Services student orientation facilitates the integration of new and transfer students who are deaf or hard of hearing into the academic, cultural, emotional and social climate of CSUN. The NCOD student orientation is a week-long program facilitated at the end of August before the fall semester begins. It familiarizes students with the programs and services that will aid in communication during their time at CSUN. During the orientation, new students will participate in getting-to-know-each-other activities and informative workshops with topics ranging from academic issues to safety on campus. On the first day of orientation, parents are invited to participate in workshops, meet other parents and get to know the staff at NCOD. Which services are available for deaf and hard-of-hearing students?